Hello, Tatertots and Jello readers! It’s Linda here, from burlap+blue, and I’m so happy to be here today sharing another fabulous holiday tutorial in Jen’s series! 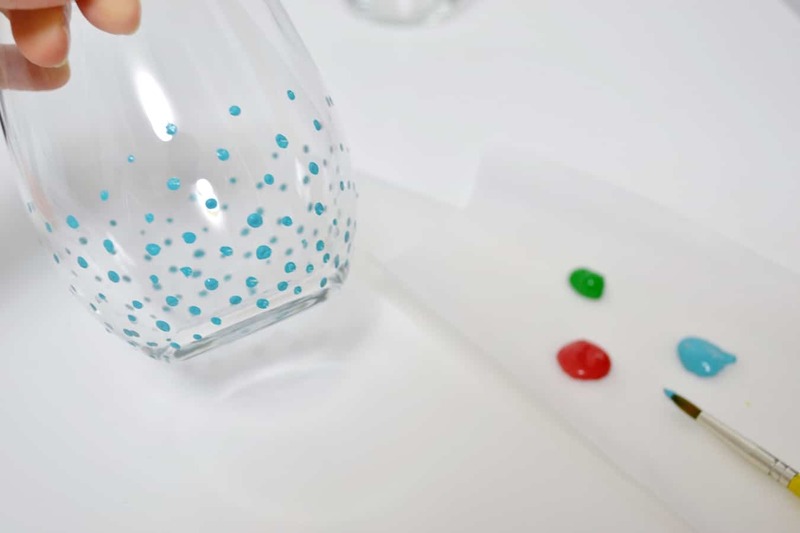 These confetti glasses check all the boxes as far as what I look for in a great craft-it’s easy, inexpensive, and so very versatile! 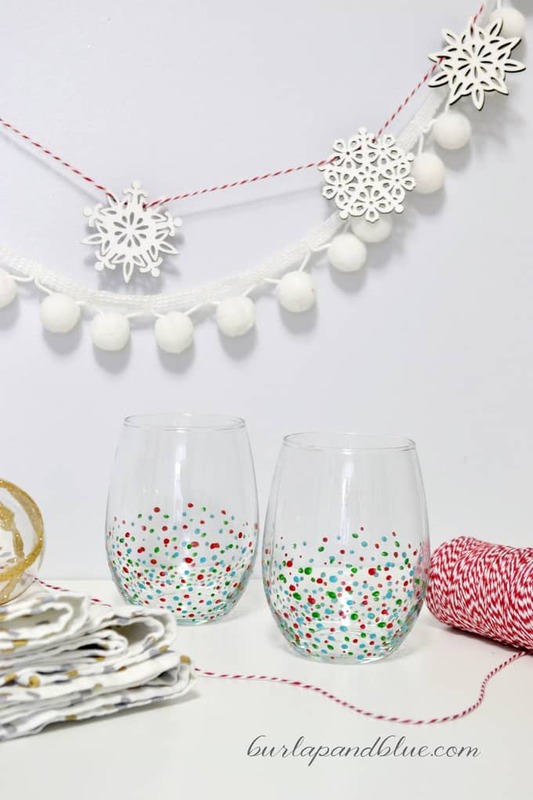 These are great for holiday and hostess gifts this time of year, but the technique is also perfect year-round for wedding and housewarming gifts. 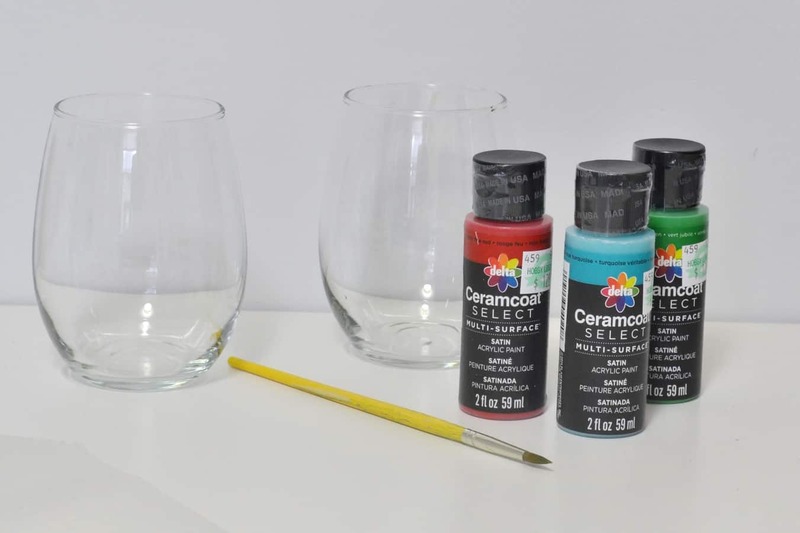 I chose red, green and turquoise, but you can easily change up the colors to match any decor scheme. Step 2: Once you’re done with one color, wash out your brush, and continue with the rest of your colors. Let dry. And that’s it! Couldn’t. Be. Easier. Thank you all for letting me hang out with you today! Please visit me over at my blog, my original Etsy shop, and my print shop, paper+palette! These Mod Podge Initial Ornaments are so pretty! They would be perfect for gift giving or just for personalizing your tree this year! And, I love this Merry & Bright Printable too! So fun for the holidays! 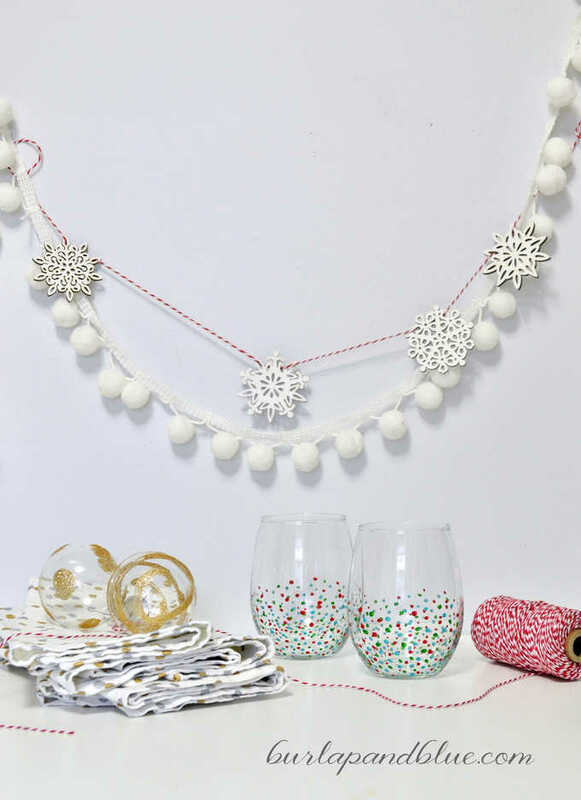 And, I love this pretty gift idea! Make DIY Confetti Soap for stocking stuffers or neighbor gifts! “Have A Grateful Heart” – Free Thanksgiving Printable Postcards and Hostess Gifts! I will have to make these! I have some confetti glasses that I purchased. They are no longer are available, and a friend of mine loves them, so I will have to make some for her! What cute confetti glasses! 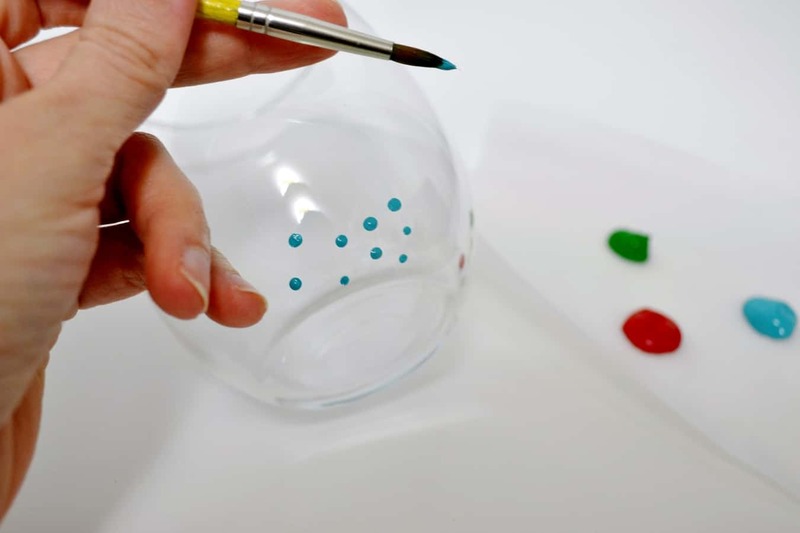 Nice stress relief activity and works well for a baby shower too. Would be so cute with pink or blue dots all over the glasses. Learn a lot about getting crafty on your site. Being a teacher, I feel all this pressure to be crafty since my co-workers are so talented. But I’m not crafty at all! Ha. Have a lot to learn. Laura @ Raise Your Garden recently posted…Does your houseplant need repotting?